William Eggleston, Untitled, 1970-73, dye transfer print, collection of the Wilson Centre for Photography, ©The William Eggleston Trust, image courtesy ROSEGALLERY. William Eggleston (American, born 1939) shifted 20th-century photographic aesthetics with his landmark color images of everyday life in the American South. This exhibition of 65 prints from the Wilson Centre for Photography’s collection features 42 rarely seen dye-transfer prints as well as 23 early black-and-white photographs created before Eggleston’s move to color. Born and raised in Tennessee and influenced by the photographs of Walker Evans and Robert Frank, Eggleston made mundane objects and occurrences his primary subjects, applying a neutral viewpoint to his Cold War-era world. After working in black and white during the early 1960s, he embraced the saturated colors of the dye-transfer print process. At a time when color photography was considered cheap and was largely limited to advertising, Eggleston imbued everyday subject matter with vibrant and even shocking hues. 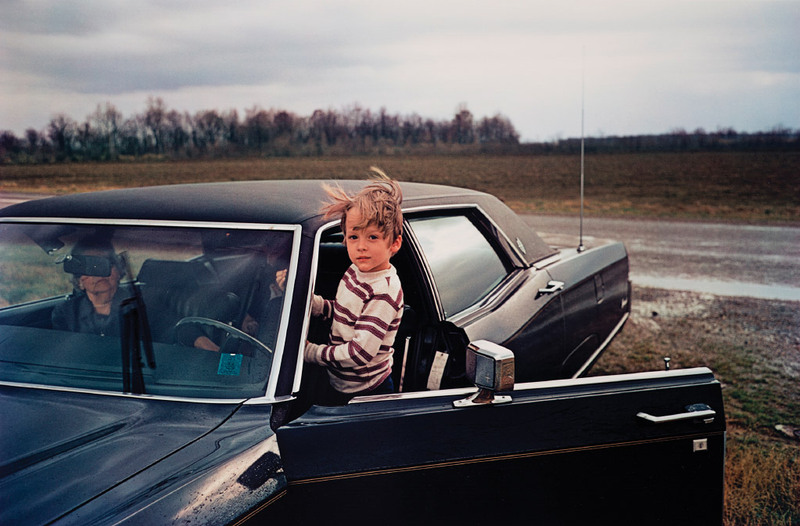 In 1976, New York’s Museum of Modern Art mounted a controversial solo show of Eggleston’s color prints. Although critics deemed it the most hated exhibition of the year, it strongly influenced a subsequent generation of fine art photographers and filmmakers. His effect on photography remains notable today, as does his subject matter. From a bare light bulb hanging from a richly painted ceiling to the contents of his freezer, Eggleston selects the commonplace and transforms it into the extraordinary. Organized by the Portland Art Museum and curated by Julia Dolan, Ph.D., The Minor White Curator of Photography.